06/23/18 | Celadon: YOSHIKAWA Masamichi — Dai Ichi Arts, Ltd. If the Song Dynasty's five kilns (Guan ware kiln 官窯, Ge ware kiln 哥窯, Ru ware kiln 汝窯, Ting ware kiln 定窯, and Jun ware kiln 鈞窯) represent the height of Chinese classic porcelain making, contemporary Japanese ceramics enjoy the same national status today within Japan and around the world. 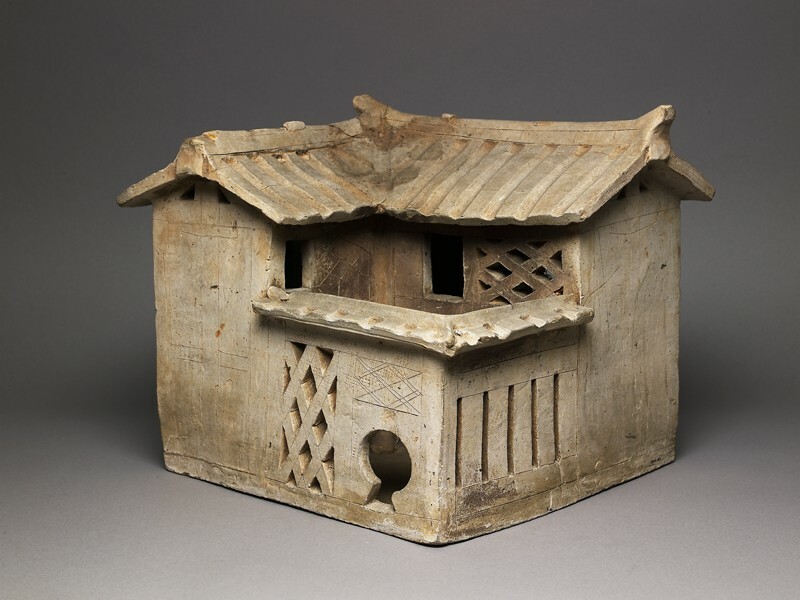 The work of Yoshikawa Masamichi (1946- ) makes us ask whether contemporary Japanese ceramics might be more expressive and diverse than the Song Dynasty ceramics that inspire today’s artists. Yoshikawa was intrigued by the tombs of Chinese Emperors that contain vases, sculptures, figures, and even an army like the Terracotta Soldiers in Xi'an. Kayoh (2009) and Yoshigawa's other porcelain houses interrogate how an abstract, contemporary sculpture can ask the same questions about life, using Seihakuji (pale blue glaze 青白磁) and Seiji (celadon glaze 青磁) in a deeply human way. Each work is built with blocks of clay, making the tender material express strength and solidity. Yoshikawa then uses glaze to create tension as the eyes move between the different levels of each house. Pudding glaze drips and blue pools cloak each solid house, creating sculptures that look inviting yet haunting. The alluring qualities of Kayoh's celadon glaze are so much more than they appear. Like a piece of heaven fell to earth, these light-blue details belong to an artist wholly committed to innovating ceramic arts and speaking to this contemporary moment. Yoshikawa's sculptures even come with feet, like those on Chinese bronze sculptures, another reminder of the artist's connection to the cultural history that inspires him!